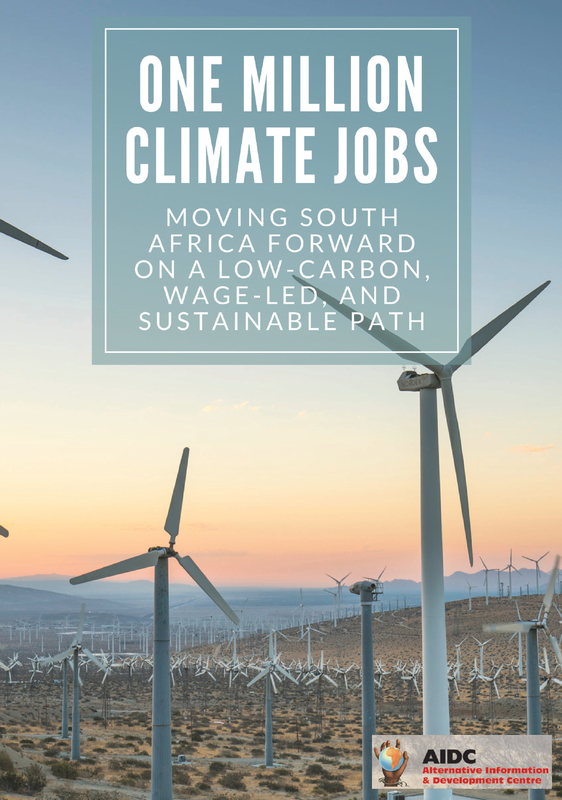 Inputs were made be Professor Roger Southall from Wits University, and Denia Jansen and Henry Williams representing the Community and Workers Alliance (CWA). The discussion was well attended with approximately 50 people participating in the discussion. 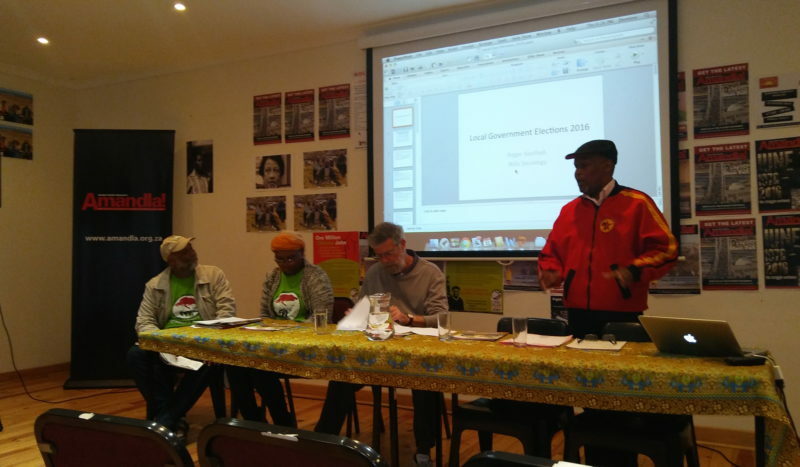 Roger Southall unpacked the local government elections and offered up an analysis before representatives from the CWA reflected on their experience participating in the Local Government Elections. Southall indicated that 9 million possible voters did not even register. Out of the total number of people who could have voted, only 23% voted for the ANC. He feels that the ANC is in decline and simply getting rid of the ANC leadership will not necessarily change anything. He argued that the ANC is becoming increasingly authoritarian and is growing further out of touch with its base. He speculates that in the future the ANC may try to maintain its political hegemony through a combination of authoritarian practices and populist economic policy. The DA was the big winner in the LGE. More black people are starting to vote for the DA. Prof. Southall attributes the DA’s continued progress to its deliberate strategy to modernise the party. Through the process of modernisation the DA has transformed itself into a professionalised and modern political party. The problem for them is that it has not been able to get into rural areas – where the ANC has managed to maintain its political dominance. 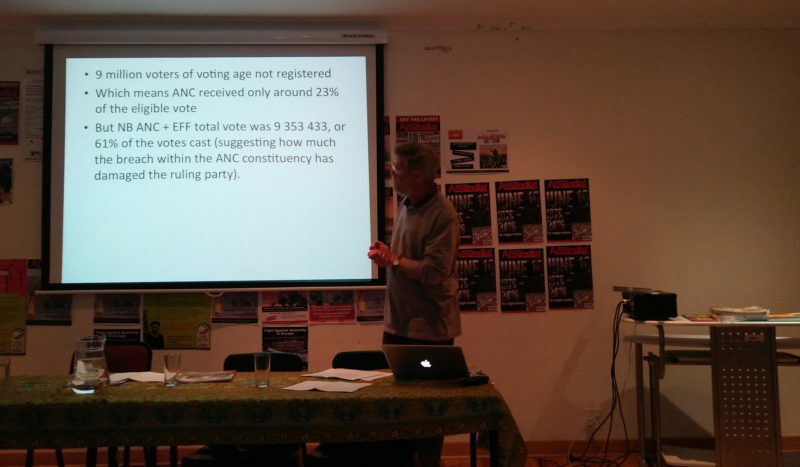 He did not pay much attention to the potential of the EFF in his presentation. However, he mentioned that the EFF played its cards well following the LGE. Managing to stay out of running any of the municipalities and as a result would not be responsible or accountable if/when things go wrong. They will also be able to influence policy more effectively. Essentially allowing them to punch above their weight. He pointed out that the ANC possibly made a mistake in expelling Malema. Many felt that the EFF or any Malema initiative would fail before it began. Yet, they have managed to prove the doubters wrong so far. Expelling Malema from the ANC, resulted in a chunk of the ANC leaving with him. The EFF is growing political party but we will have to watch and see how they progress in the future. He concluded by saying that he expects a high voter turnout in 2019 – anticipating 75 – 80% of the population to turn up at the polls. He feels that this could possibly be the first election that will see the ANC lose some of it power. 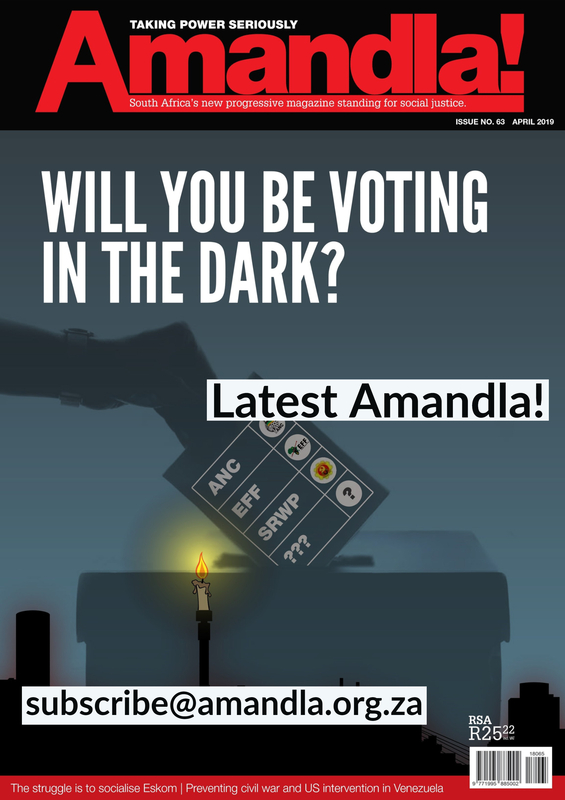 Postulating that if the factionalism continues in the ANC that they may even realise a drop in votes to below 50% for the first time since 1994. The Community and Worker Alliance is a movement made up of workers, community members, unemployed people and young people. 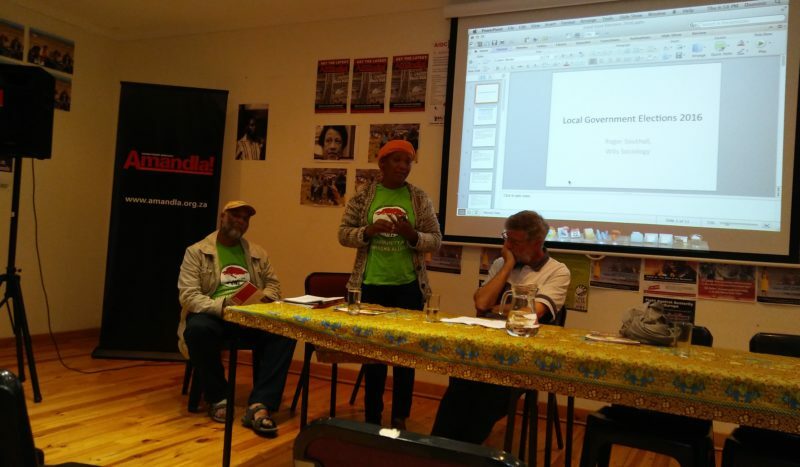 It consists of Mawibuye – the land rights movement and Csaawu the union organising farmworkers in the Langeberg and Overberg Municipalities. The movement sees the salience of bringing the community and workers together. She indicated that there are many reasons why the community should not participate in the elections, citing challenges like the lack of finances, capital and resources for instance. However, given the communities plea for an alternative to the ANC and the DA, the CWA was under pressure to respond to the call. The CWA thus applied on the last minute to register for the elections and managed to get their ticket in the nick of time. They registered 18 candidates to participate in the elections – all the candidates were either farmers or small scale farmers. This was done deliberately as they felt that the candidate must be able to understand and empathise with the struggles of the people its trying to organise. This is also why they chose to produce slogans around the daily issues that they face like the need to stand against evictions and demanding for a public transport system in the rural areas. They started the campaign with virtually no money, one car, a horse and lots of commitment and hope. Unfortunately, they did not win a seat in any of the municipalities that the CWA contested in. Even though it was not the CWA’s main priority to a win a seat in the elections it was also disappointing for them when they did not. They wondered why many had promised to not vote for the DA and the ANC, yet the results indicate that they still did? From this kind of introspection and reflection they learnt many lessons. Many of the people insisting on the CWA standing did in fact not vote for them. The DA shows the people in the community how to vote for them. The farm owners threaten the workers if they do not vote for the DA. Claiming that they will evict the workers if they do not do as instructed. The CWA also experienced first hand, how unfair the campaign process is; not only is the CWA disadvantaged due to a lack of resources but they face other obstacles too. Such as, farm owners not giving the CWA the space to go to farms and to talk to workers and the community. These opportunities was only afforded to the DA and to the ANC. They also mentioned that many of the people that they managed to speak were not clear on the role of local government. Thus, they feel that it will also be important to unpack the role of local government. Nonetheless, the CWA showed great resolve and continue to do so. And critically, they were able to illustrate that there is an alternative. The CWA was able to give hope to the hopeless and a voice to the voiceless.